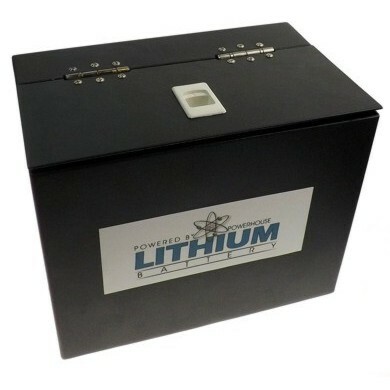 If using a Lithium battery, this box is a high quilaity Aluminimum storage box that fits in the battery bay where your second Lead acid battery would have fitted. Provides a place to store phone keys etc while on the course. High quality finish with flip lid. Size: W 165mm x L 260mm x H 200mm. Has the same foot print as a standard 76/80Ah lead acid battery.